Well, this is bummer news. 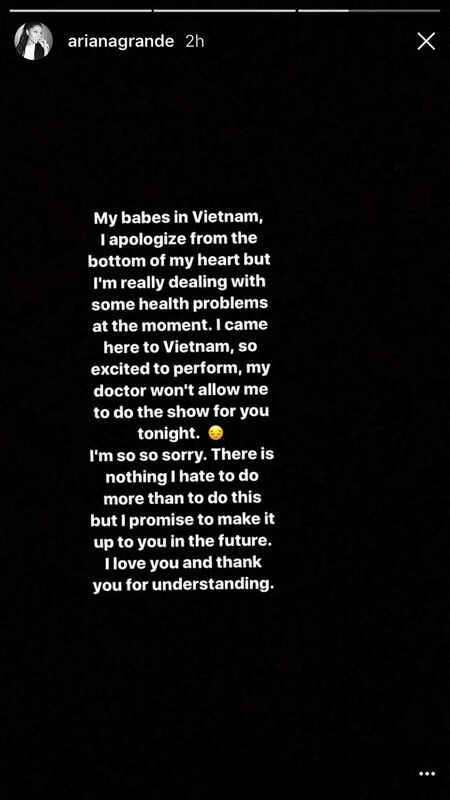 Ariana Grande had to cancel a show in Vietnam, and according to the singer, it was due to her health. The concert was supposed to happen in Ho Chi Minh City, but the singer made sure to let fans know a few hours ahead of time that she wouldn’t be able to be there. While Grande’s announcement was pretty lighthearted (as it was announced through Instagram Stories) we’re definitely concerned. Probably because Grande said that her doctor advised her not to perform, which means it’s more serious than a standard cold. "My babes in Vietnam, I apologize from the bottom of my heart but I’m really dealing with some health problems at the moment," Grande's statement said. "I came here to Vietnam, so excited to perform, my doctor won’t allow me to do the show for you tonight. I’m so so sorry. There is nothing I hate to do more than to do this but I promise to make it up to you in the future. 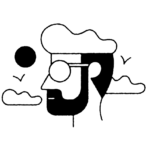 I love you and thank you for understanding." Grande has dates booked overseas until September, so we hope she gets back on her feet soon. Nothing has been made official in regards to rescheduling the show in Vietnam, but hopefully something will be announced soon. Upon hearing the news, a ton of her biggest fans sent love through Twitter. While it’s disappointing, health should always come first, no matter what. The unfortunate Manchester Arena bombing happened right after Ariana Grande performed back in May — so it’s safe to say that Grande has had a pretty traumatic year. As that date was part of the 2017 Dangerous Woman Tour that she’s still in the midst of, we hope she’ll allow herself to take a break and focus on her health and happiness.